As Syrian dictator Bashar Assad and the Iran-backed militias in his employ move toward Israel, the only thing standing in their way is a ragtag group of beleaguered rebels fighting for their homes and “viciously” defending the border. 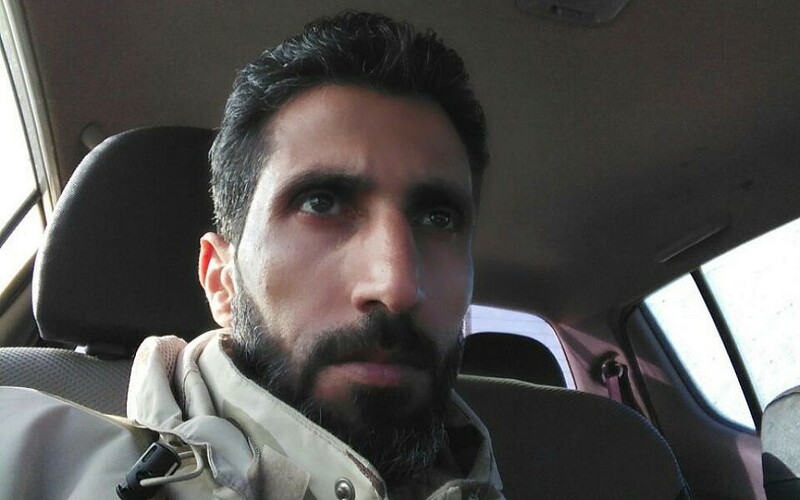 Over the past few days, a rebel officer — Abu Muhammad al-Akhtubut al-Asmar, whose nom de guerre means, literally, “The Dark Octopus” — has been speaking to The Times of Israel about their plans to fight back against the Syrian military, Hezbollah and Shiite groups, following the fall of the town of Beit Jinn, some nine kilometers (less than six miles) northeast of the Israeli border, late last month. His group, known collectively as the National Front for the Liberation of Syria, is made up of about a dozen groups from the Quneitra region that joined forces this summer. 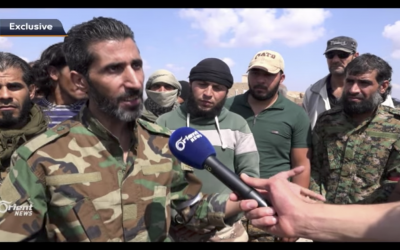 With various ideologies and a wide range of military capabilities, they don’t necessarily agree on much, but the hundred or so officers who make up the loose umbrella organization have recognized the need to keep Assad and the Iran-backed forces away from the border, al-Akhtubut said. 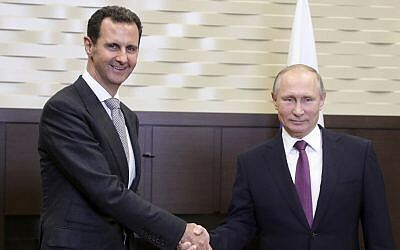 As Russia entered the civil war in 2015 and Assad started scoring more battlefield victories, Israeli officials grew concerned that if the Syrian dictator succeeded in routing the rebels from the Golan Heights, Iranian proxies could take up positions on the border. From there, the Iranian proxies could open up a second front should Israel go to war with the Lebanon-based Hezbollah terrorist group. Israeli officials have therefore been working with their Russian and American counterparts — the main power-brokers in Syria — in attempts designed to keep the Iranian proxies away from the area as part of a ceasefire agreement. In addition, IDF Chief of Staff Gadi Eisenkot has indicated that the army is taking military action to prevent Iranian entrenchment in the region. Israel has also sought to stave this off by providing humanitarian aid and — according to foreign reports — military assistance to the Syrian rebel groups across the border. These opposition forces have been largely isolated in the past few years, surviving in large part because of outside humanitarian assistance, not only from Israel, but also from Jordan and international aid groups. The need for support is acute. Al-Akhtubut, speaking via an in-and-out Skype connection, stressed that Beit Jinn — also known as Beit Jann — did not suffer a military defeat, but fell because of the extended siege placed on it by Assad. “[Assad’s troops] didn’t win in Beit Jinn — it wasn’t a military victory. [The rebels] were under siege for a year. It was attrition,” the Octopus said. 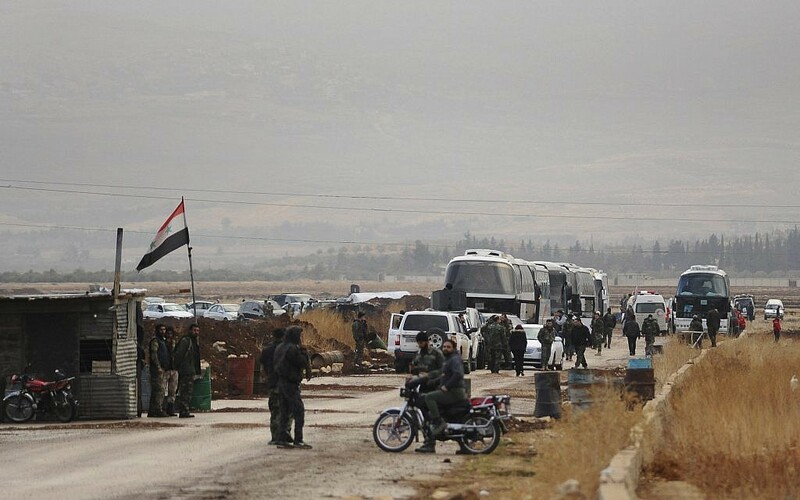 On December 29, dozens of opposition fighters and their families left the Beit Jinn area as part of a ceasefire agreement, traveling on buses to the rebel-held Idlib area, in northwestern Syria, after holding out for nearly a year following a renewed push by the Assad regime to starve out the town. Now that Beit Jinn has fallen, al-Akhtubut fears that Assad’s army and the Iran-backed militias supporting him can better turn their attention to his group’s last holdouts and further cut off their access to supplies. “We can tell that they are working to take over this area and we are trying to stop it from happening,” he added. On Thursday, the top brass from the various opposition groups in the Quneitra region gathered at an undisclosed location for one of a series of discussions on their next steps. He said the main area under threat is the town of Jubata al-Khashab, along with Khan Arnabeh and Hamidiya, all of which lie either in the demilitarized zone between Israel and Syria or adjacent to it. The regime’s control of Jabah, in particular, makes it possible for Assad to cut off Jubata al-Khashab from the rest of the rebel-held area, he said. The map also showed that the remaining rebel forces in the Quneitra region are also boxed in, as Assad forces control the towns of Dayr al-Adas, As Sanamayn, Barqa and al-Sheikh Maskin. 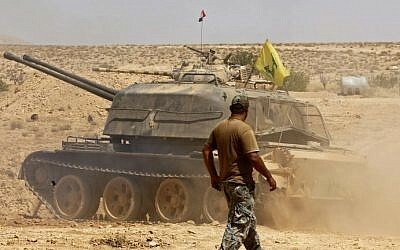 It is not entirely clear how large a role the Iran-backed Hezbollah and Shiite militias have played in the fighting in southern Syria. But according to analyst Aymenn Jawad al-Tamimi of the Middle East Forum think tank, not all of those claims are backed by facts on the ground. In a recent article on his website, al-Tamimi said the Syrian army’s 7th and 4th divisions are leading the effort on the Syrian Golan Heights, with limited assistance from Iran-backed forces. As the National Syrian Liberation Front prepares for its offensive and defensive campaigns, it must cope with limited weapons stores. He noted that the various groups’ limited access to weaponry and supplies was a major factor in them coming together as a group in July, after a Jordanian training and support program ended. When asked what specific types of weapons and munitions the groups have left in their arsenals, al-Akhtubut declined to answer, joking that it sounded like he was in an interrogation with the mukhabarat, or intelligence service. The rebel officer did, however, speak briefly about the humanitarian situation in the Syrian Golan, but he refrained from commenting on the aid shipments that Israel sends into the area as he said he was not an expert on the issue. Beginning in 2013, Israel began providing medical treatment to Syrians wounded in the fighting who came to the border. The army initially set up a field hospital, but eventually moved to transporting them to hospitals in northern Israel. Last year, the army dramatically expanded its humanitarian aid program, code-named Operation Good Neighbor, and started not only providing medical care to people injured in the war but also to civilians with chronic illnesses. 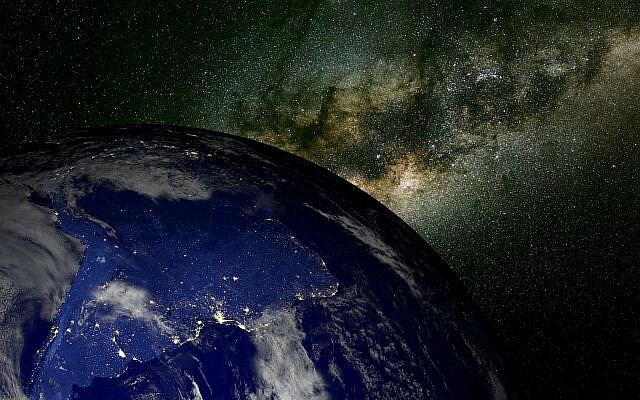 Israel also began sending over shipments of food, fuel and other goods. 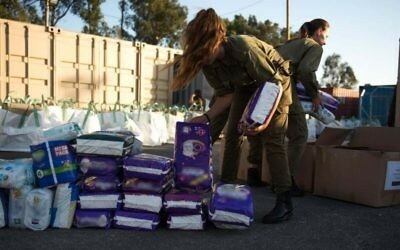 According to the Israel Defense Forces, in 2017, the army facilitated the transfer of nearly 700 tons of food, half a million liters of fuel and over 14,000 containers of baby formula. 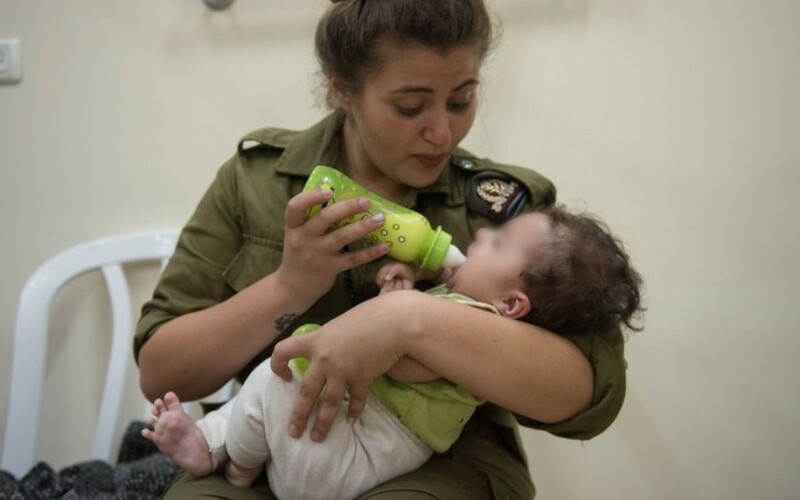 The army has been upfront that while its primary mission is simply to help the beleaguered civilians in war-torn Syria, its secondary or peripheral goal is to engender goodwill toward Israel among those same people in order to plant the seeds of better relationships for the future. In recent months, the amount of aid has been somewhat “scaled back,” al-Akhtubut said. 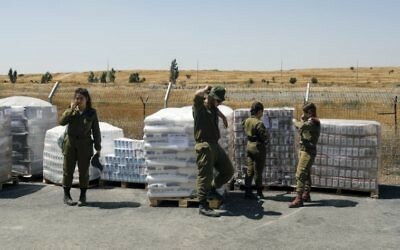 The humanitarian aid sent into Syria from Israel — as well as military assistance, according to foreign reports — has been a controversial issue, in light of the two countries still technically being at war with one another. The Assad regime has repeatedly used this assistance in its propaganda to “prove” that the opposition forces are actually Zionist stooges in attempts to discredit them. Some of the first images to come out of Beit Jinn after it was taken over by the Assad regime were of food products bearing Hebrew labels. 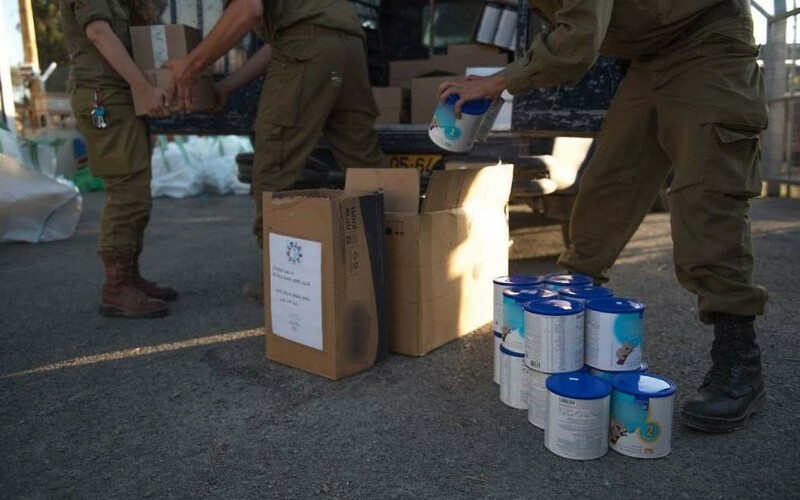 According to the Octopus, despite this, most people in southern Syria do not remove the Hebrew labels from the food and other humanitarian products that come across the border, with the exception being those who try to resell the aid for profit. “People who have special interests do take the labels off — they’re the only ones who do,” he said. But al-Akhtubut said most people do not try to make money off the aid, but give it away for free. “There are people who do good work, and we’re trying to keep things under control so that we benefit from the aid as much as possible,” he said. “But there are those looking out for themselves, instead of having it benefit everyone equally so that we can endure the pressures [from the Assad forces],” he said. The rebel commander said the main things the civilians in the area need are baby formula, flour and medicine. Baby formula, which is difficult to produce locally, was in especially short supply, he said. “It’s something we always need and we’re always short on,” he said. However, al-Akhtubut said that while “of course there are shortages,” the rebel-held areas are able to survive for now. “It’s not that severe — we’re not there yet — but it is enough for us to feel the burden of it,” he said. It’s a burden that Israel has reason to be grateful to the Octopus and his rebel colleagues for shouldering.